Three months before the wedding date seemed to be the norm for decades to send out your wedding invitations. Now, because of everyone’s busy and hectic lives, the three months is simply too long. Sending the invitation too early raises the possibility that it will be forgotten or tucked away in a safe place; so it is recommended to shorten the time to receive and respond. 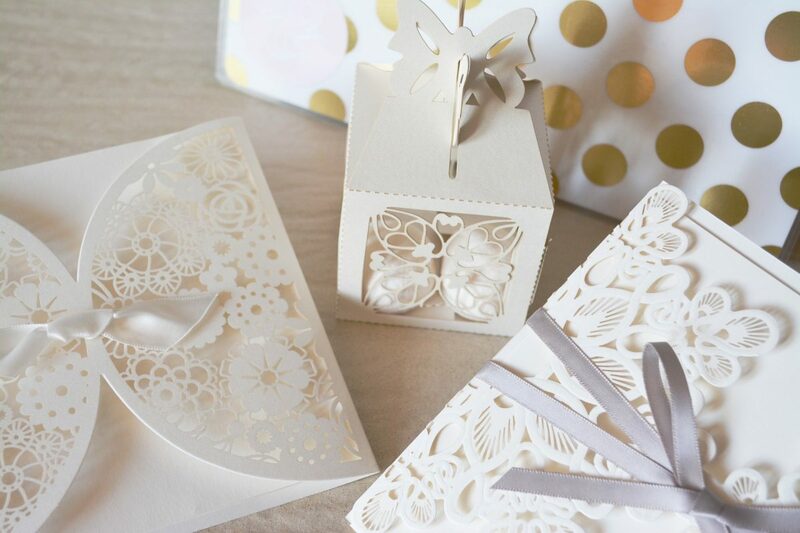 If a wedding is on May 24, for example, send the invitations out in early March, with a deadline of May 1 for response. Monali Patel, from Starlight Weddings & Events, and The Party Store advises that “The ideal timeline for mailing invitations is six weeks before the wedding – and have the replies back 2-3 weeks after that as you require numbers for your venue and for food.” You may still have to phone the guest list if they have not responded one way or the other. Fifty years ago there may have been around a dozen different designs from which to choose. Now, there are literally hundreds of creative ideas with names like: Paisley Posh, Maple Breeze, Lace Artistry, Moroccason Twilight and Sugared Style. Processing the thought of hundreds of designs for your wedding invitation may sound overwhelming, but it doesn’t have to be. If you have a particular theme or colour in mind, that can considerably narrow down the selection process. Gone are the days where every single wedding invitation you received had that very formal and elegant appearance, as if you were being invited to Cinderella’s ball. Online e-vites are becoming more common, but less appealing. Remember that it’s poor etiquette to not send a formal invitation to your special event. Patel says “It really depends on the couple. Some want something traditional and elegant; others want something crazy and fun. Each year has its own popular designs.” Two of last year’s most popular designs were Burlap Chic and Domask. “We are tending to see more and more requests for pockets – because everything fits together, all the aspects of the invite have less chance of being misplaced,” says Patel. Be prepared to spend $200 or more for your wedding invitations, most of which include matching envelopes and thank you notes. The price of your invitations reflects on the style and quantity. Printing time is relatively quick, about two weeks after you see the proof. 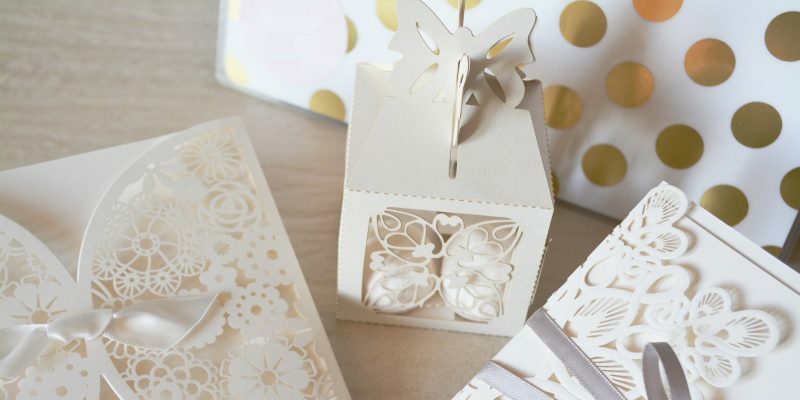 The choice to design, make, and print your own invitations is increasing in popularity. With designing your own, you can personalize it and really reflect you as a couple: what you like to do together, your shared interests, how you became a couple (i.e. meeting on the train, walking your dogs, baseball game). You are marrying the person of your dreams; your invitation should be something that celebrates you. There are a number of ways to request the response back from your invitation. The tried and true time honoured method is to send a stamped reply card. This is the “old fashioned” custom which has brides running to the mailbox daily looking eagerly for their replies. Some couples choose to have their responses emailed or text back. There are the odd few who prefer the phone call. Depending on the size of the guest list any of these methods can be easily managed. As soon as you get back from your honeymoon, promptly send out your thank you notes. It is best if you do not wait for a few months to do this, the momentum will be lost. Your guests will appreciate the sentiment and the beautiful day will still be fresh in their minds. When you send a thank you card for a wedding gift, personalize it not only by thanking them for sharing your day. You may want to reference events that happened during the day that you noticed and specifically mentioning what you saw. When you thank them for their gift, indicate what it is, not just referencing “the gift.” This personal touch goes a long way in making the individual feel cherished and shows your true gratitude. Remember when you were a child and loved getting mail with your name on it? If you had flower girl or a ring bearer, send them an individual thank-you card. Taking your time to send them a thank you card will make their day. Do not just include them in the family thank you; they deserve the recognition on their own.